Baxter succeeds by making a meaningful difference in the communities we serve, creating lasting social, environmental and economic value for our diverse stakeholder base. Every day, Baxter strives to make a meaningful difference in the lives of those who depend on our products and in the communities where we operate. We aspire to be a responsible corporate citizen that prioritizes sustainable business operations, which goes hand in hand with our mission to save and sustain lives. 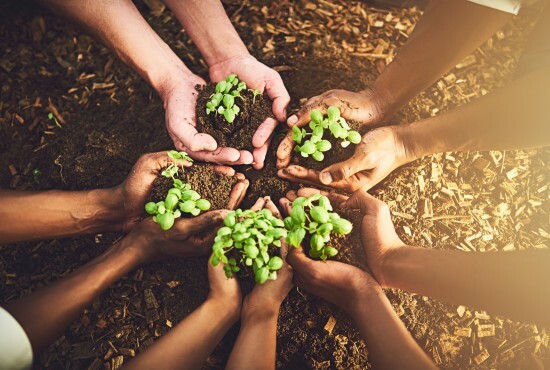 Whether it’s reducing our environmental footprint globally, cultivating a Best Place to Work culture for our employees or supporting projects that expand access to healthcare in underserved communities around the world, our corporate sustainability priorities and goals help focus our efforts and measure our success. Being a responsible corporate citizen is integral to our objectives as a global healthcare leader. It reinforces the commitment of our employees as we strive to make a positive environmental and social impact that will be felt today, tomorrow and for generations to come. With our diverse portfolio and broad geographic presence, we know that there will always be new challenges to face and opportunities to drive even greater impact. We’re prepared to embrace the future, as we have for almost 90 years. Baxter will continue making a meaningful difference for patients and creating lasting social, environmental and economic value in the communities we serve. Our environmental, health, safety and sustainability (EHS&S) vision is to achieve a level of sustainability that creates stakeholder value through environmental stewardship, meeting the highest level of employee health and well-being and maintaining an injury free workplace. In fact, several of our community-based EHS&S programs operate at the intersection of healthcare and sustainability – as illustrated by our endeavor in San Juan Tlacotenco, Mexico, to create access to a clean water supply. We’re focused on driving sustainability across our manufacturing operations around the world. Today, nearly 30 percent of our energy comes from renewable resources and we’re on track to achieve our ultimate goal of 100 percent. Additionally, green supply chain logistics are helping to reduce our carbon footprint and strengthen our environmental performance. Since 2015, we’ve achieved a 17 percent absolute reduction in greenhouse gas (GHG) emissions and eliminated more than 870 metric tons of packaging materials. 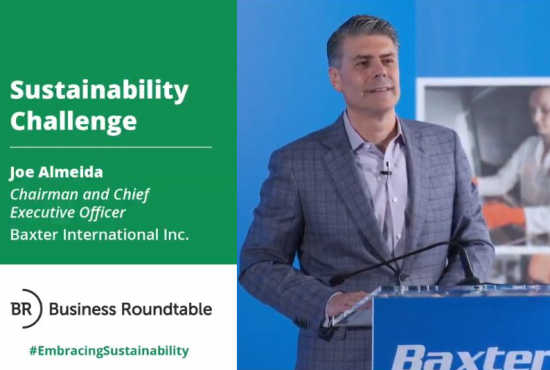 Baxter’s Product Sustainability Program recognizes the combined efforts of our R&D, marketing and supply chain teams to embed efficient and smart product stewardship across our entire organization. These efforts work to ensure that we’re consistently providing our diverse stakeholder base with products that meet our high standards for quality and sustainable practices.